AMMAN — The US administration on Tuesday voiced its support for “Tracks for Regional Peace”, which is a plan for a railway link between Israel, Jordan, Saudi Arabia and the Gulf states. Katz is taking part in the IRU World Congress, which is held in Oman under the theme “Innovation in the Move,” with the participation of industry experts, ministers and officials from many countries. His participation in the event comes one week after Israeli Prime Minister Benjamin Netanyahu made a visit to the Gulf state, where he met with Oman’s Sultan Qaboos Bin Said. Jordanian officials were not immediately available for comment on the project despite several attempts by The Jordan Times. The Israeli minister’s office Tweeted on Tuesday that this was “the first time the United States has publicly supported the plan, which was developed by both Katz and Netanyahu”. A Middle East rail line would be a “dramatic development that may affect many countries in the region”, Katz’s office said. He has spent two years gaining supporters for the plan, including of some Arab officials in the region, according to the Jerusalem Post. Earlier this year, Israel announced the allocation of necessary funding to extend the railroad tracks from Beit She’an, east of the Sheikh Hussein Crossing at the Jordanian border, as a first step of a larger project that is hoped to extend to Saudi Arabia and the Gulf states, according to Israeli media reports. According to Jordan’s Ministry of Transport website, the Kingdom will be developing a modern, reliable freight railway network linking the nation’s key cities (Amman and major industrial cities such as Mafraq and Zarqa), the country’s gateway port (the Port of Aqaba) and the largest phosphate mine (Shidiya Mine). 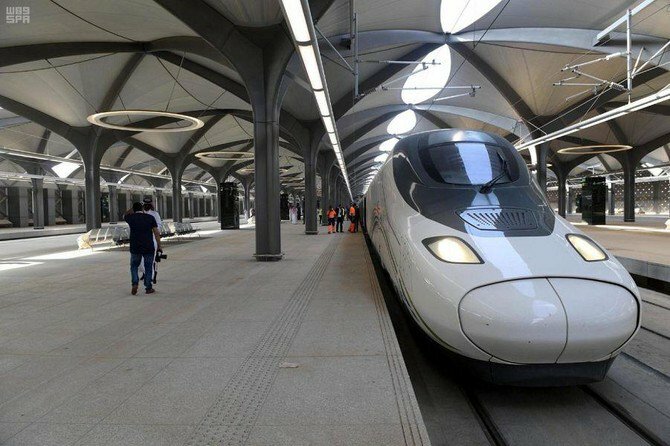 The network will also connect with the railways of Saudi Arabia and Syria (and onward to Turkey and Europe, in the future) as well as important markets in Iraq, according to the ministry. In August, the ministry said it was taking the necessary measures to sign an agreement with a Chinese company called Touchstone to resume working on the project that was halted in 2015. The Jordanian national railway project is expected to cost $4.23 billion. If Israel would like to cooperate with Arab states they will have to do it as ‘equals’ and not as ‘bosses’. Let them give up their nuclear weapons – that would be a good start.